A video posted by Khabib Nurmagomedov’s father and coach, Abdulmanap, shows yet another Dagestani child wrestling with a bear, just as his son had done over a decade previous to winning his UFC lightweight crown. Remember that crazy video where future UFC champ Khabib Nurmagomedov wrestled with a bear cub in his back yard as a nine-year-old kid? Seems like everyone in Dagestan does too. The, shall we say ‘unorthodox’, training method looks like it is about to become a ritual in the region, where every other young wrestling hopeful now wants to follow in Khabib’s footsteps to MMA glory. “So training has begun for our brothers. [This is a] good example of the path to the highest awards,” Abdulmanap captioned the Facebook video post in Russian, as the youngster smiles while trying to ward off the mauling bear. 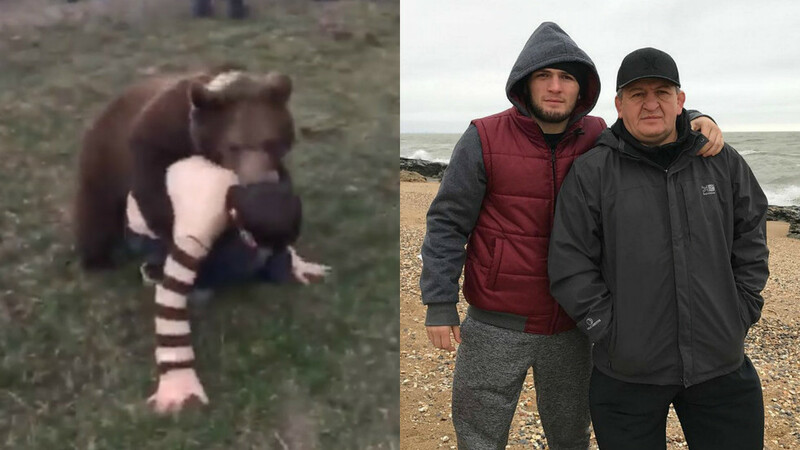 In the video, the ‘next Khabib’ hopeful can be seen writhing around on the floor with the bear, who is wearing a harness and lead held by a handler, while other boys and older men can be seen smiling and laughing, much like Khabib’s first foray into outdoor wrestling, Dagestan-style.